Earbuds usually do not have cushions, although they can. They are meant to be held in place by the concha ridge at the center of your outer ear, rather than sitting inside the ear canal. They are often one-size-fits-all, which may not be comfortable to wear. Depending on the shape of your ear ridges, they may not fit securely and may fall out frequently. This can be annoying, especially if you are wearing them for sports and exercise. Some have wings or loops to tuck under the ridges of the ear to help keep them in place. Earbuds allow in ambient noise so you can hear what is going on around you. You don't feel sealed off from your environment. That provides a small measure of safety for outdoor exercise such as running or walking while wearing earbuds. Earbuds have generally not had the same performance as high-end headphones, often lacking bass and sounding tinny. If you're buying earbuds, the good news is they are often less expensive than earphones and in-ear headphones. If you want something for the gym that you don't care if you step on them on the treadmill, or if you need the thirty-umpth pair for your teenager, earbuds are your friends. In-ear headphones often feature different sizes and types of ear cushions to achieve the most comfortable fit possible. Examples of cushions include memory foam, rubber, and silicone. Some are shaped to lock into the concha and have a protrusion that extends further into the ear canal. Don't let their small sizes fool you -- earphones can get into the extremely high end of the price and performance spectrum. For example, consider the IE80 in-ear headphones from Sennheiser. Wireless versions of earbuds and in-ear headphones, and smart earbuds, often have a larger earpiece to accommodate the Bluetooth mechanism and controls for the headphones or have them on a thicker behind-the-neck cord. This adds additional bulk and weight. Another factor with wireless audio devices is that they are powered and need to be recharged after a few hours of use. With Apple eliminating the audio jack port with the release of the iPhone 7, many more designs have entered the marketplace for wireless earbuds and in-ears. 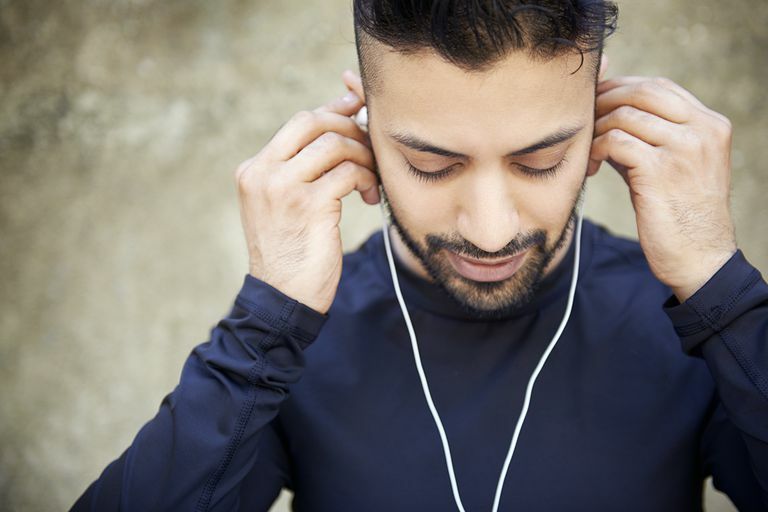 No matter whether you choose headphones, earphones, or earbuds, they need to be cleaned periodically to remove the buildup of oils, earwax, and dirt that can accumulate. Regular cleaning will extend the life of your listening devices and reduce the chance of irritation.